Gregory L. Heidt, Attorney At Law, in Erie, Pennsylvania, provides practical legal advice regarding estate planning (including probate, estate administration and wills) as well as family law. 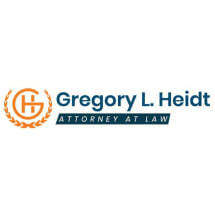 Our law firm, founded in 1978 by attorney Gregory L. Heidt, provides individualized and personable service to families in all income brackets. Our founding attorney sits down with clients during initial consultations to explain their options in a plainspoken manner that is appropriate to the people of western Pennsylvania. We know that those who need help with estate law or family law are reeling from the loss of a loved one or the end of a marriage. Whether it is filing paperwork with the state or getting finances in order, we are here to make sure that this process goes as smoothly and efficiently as possible. We often do estate planning for families with young children. It is important to set up a will and a guardianship and make other arrangements in case one or both parents die or become incapacitated. We also can draft and administer trusts to make sure younger family members or spouses are looked after. Gregory L. Heidt, Attorney At Law, is a small law firm, which allows us the time to work closely with our estate law and family law clients. Our experience working with thousands of clients over the years means that we can quickly address legal and familial issues as they occur. We can even effectively mediate a situation to keep a family from being torn apart. Have questions about an estate planning or family law matter? Contact our law firm to speak with an experienced and knowledgeable lawyer with 40-plus years' experience.